Mount Sutro Forest has approximately 45,000 trees in the 61 acres belonging to UCSF, and designated as an open space reserve. This dense forest, with an estimated 740 trees per acre, a sub-canopy of acacia, an understory of blackberry and nearly a hundred other plant species, is functionally a cloud forest. All summer long, it gets its moisture from the fog, and the dense greenery holds it in. Where it isn’t disturbed, it’s a lush beautiful forest, providing habitat for birds and animals, and a wonderful sense of seclusion from urban sounds and sights. On most of the forest (44 acres), UCSF plans to cut down trees to achieve a spacing of 30 feet between trees – the width of a small road – and mow down nearly all the understory habitat. On another 2 acres, they will space the trees 60 feet apart. The stumps of the trees will be covered in black plastic, or else poisoned with Garlon to prevent re-sprouting. Eventually, this will kill the roots, which will start to decay. We’ll address some of these issues in more detail in later posts. Right now, we want to talk about the number of trees that will be felled. A spacing of 30 feet between trees gives about 50-60 trees per acre. A spacing of 60 feet gives 12-15 trees per acre. So on 44 acres, they will retain maybe 50 trees per acre (or maybe fewer). On two more acres with a 60-ft spacing, they will retain 12-15 trees per acre. All the rest will be cut down. Even using the DEIR’s overly optimistic calculation, they will be felling some 31,000 trees. Our calculations are closer to 32,000. Either way, it’s a huge number. That means that in the 46 acres where UCSF will be felling trees, they will remove more than 90% of the standing trees. The DEIR says that they will start by cutting down trees that are dead or dying. Aside from their value as habitat (some birds like woodpeckers depend on them), there are not all that many of them in Sutro Forest, which despite everything that has been claimed to to opposite, is a thriving forest. 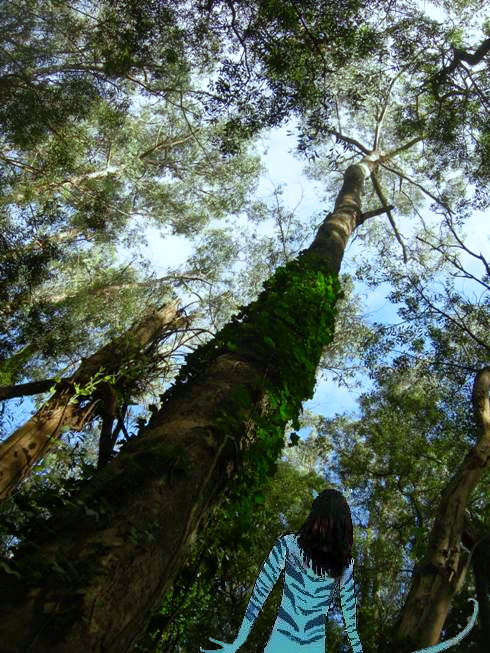 Next in line will be trees with diameters under 12 inches, or roughly 3 feet around – as thick as an adult’s waist. Then they’ll start on the larger trees. Since it’s going to be 90% of the trees, we expect thousands of large trees to be removed. Wind throw. Since these trees have grown up in a dense forest where they shelter each other, removing 90% of the trees exposes the remaining 10% to winds to which they’re not adapted. This can be expected to knock down a significant number of the trees not felled. Since the Plan only calls for monitoring the trees and felling any that seem vulnerable to wind-throw, it’s unlikely any vulnerable trees will be saved. Physical damage. Damage done to the remaining trees in the process of removing the ones they intend to fell. With such large-scale felling, damage to the other trees is inevitable, from machinery, erosion, and falling timbers. Pesticide damage. This forest has an intertwined, intergrafted root system. When pesticides are used to prevent resprouting on tree-stumps and cut shrubs and ivy, it is quite possible for it to enter the root system and damage remaining trees. Loss of support. Compounding the effects of the wind-throw, the remaining trees will suffer from a lack of support as the root network dies with 90% of the trees being removed. This could destabilize them, and make them more likely to fail. What remains will be a seriously weakened forest with a greater risk of failure and tree-loss, not the healthier forest that the DEIR claims. It is likely that the long-term impact of the Project will be the elimination of the forest altogether, and instead will be something like Tank Hill or Twin Peaks plus a few trees. The project is to be implemented in two phases. 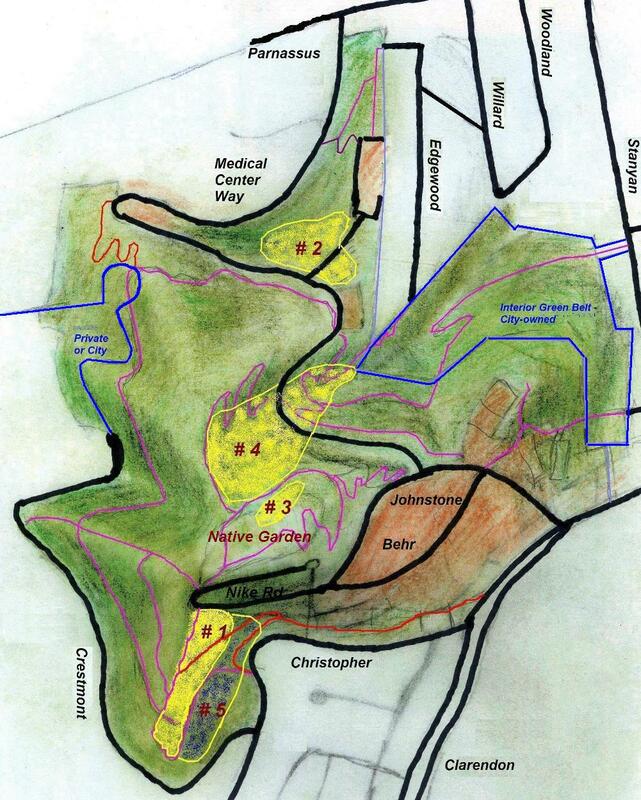 In the first phase, trees will be felled and the understory removed in four “demonstration areas” totaling 7.5 acres. They are shown on the map below in yellow, as areas #1-#4. (One of these, #4 “East Bowl”, is the two-acre area slated to have only 12-15 trees per acre. One area (#5 on the map) is supposed to be a “hands off” area to demonstrate the untouched forest. However, a trail has already been punched through it in November 2011, even before the DEIR had been published. You can help by writing to the Regents; commenting on the EIR in writing and at the Public Hearing on Feb 25, 2013; and signing the petition to save the forest. The details are in our next article, HERE. And most of all, you can help by getting the word out! 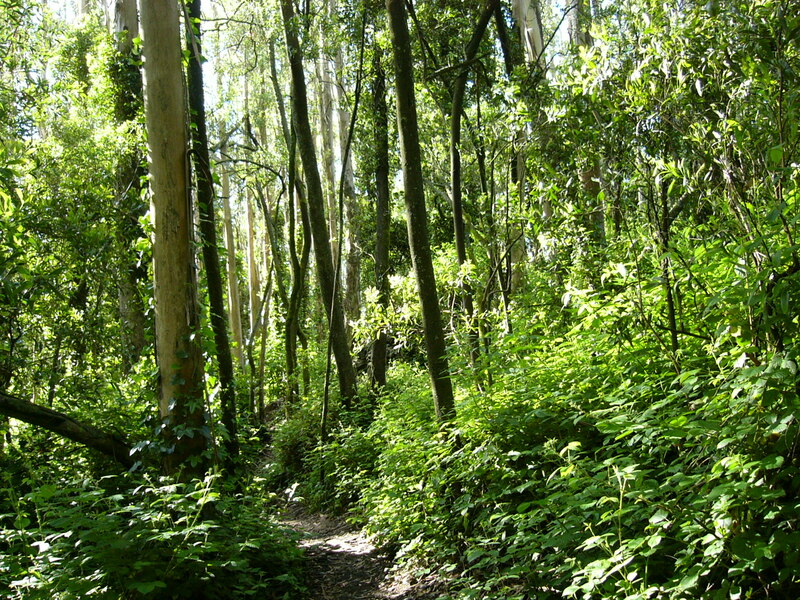 Most people – even those who hike in the forest and love it don’t know what’s planned for Mount Sutro Forest. This entry was posted in Herbicides: Roundup, Garlon, Mt Sutro Cloud Forest, UCSF and tagged drying out the forest, environment, mount sutro, Sutro Forest, UCSF. Bookmark the permalink. Please tell us what can be done. I would like to help stop this horrible plan! What on earth is consuming the sick minds of the tree-destructionists? Is there ANY way to stop this mad rush to cut down trees in our city? Who are the culprits and what is in their sick minds? Word needs to get out to as many public places as possible that despoilers are our there and causing great anxiety to all persons who don’t seem to take trees as a “given”. The woman heading this whole thing is UCSF Chancellor, Susan D. Desmond-Hellman phone number 415-476-1000 and her e-mail address is chancellor@UCSF.edu. Look up her name and you will get all kinds of info on her and what she is trying to do. Webmaster: Please do write to Chancellor Desmond-Hellman and ask her why UCSF is doing this controversial, expensive, and ecologically destructive project. (Also to the UC Board of Regents – see our article on How You Can Help.) The Chancellor’s house is actually in the forest, so she has had the opportunity to experience this wonderful place first-hand, unlike many other UCSF people who are making decisions about it. Please let us (me, if no one else) just who to contact at UCSF? This tree destruction was contemplated a few years back, and I thought it had been thwarted, but the sick minds are reconstituting themselves with even more poison. The Board of Regents of the University of California (The Regents) or its delegated committee or administrative official, has the principal responsibility for approving this project. They’re the ones who will need to decide whether to approve the project or not.